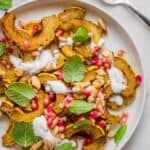 This roasted delicata squash recipe is an easy sweet/savory side dish for Thanksgiving and the holidays - topped with pomegranate, almonds, mint and yogurt! I have been cooking up a squash storm lately! I made spaghetti squash lasagna, butternut squash soup, squash this, squash that, and now this roasted delicata squash. It’s another member of the squash family, that’s slightly less popular, but just as tasty and possibly even easier to make than the other squashes we’re used to making. 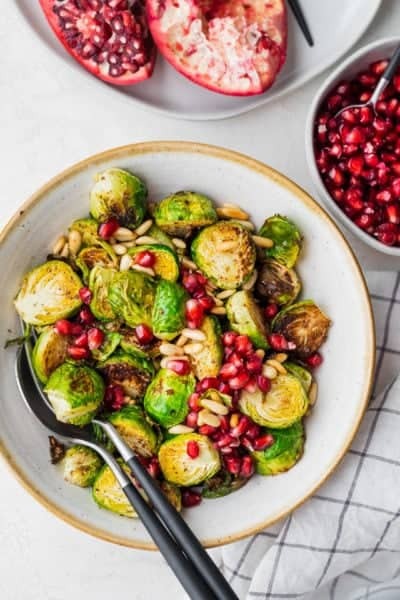 I sliced mine, roasted it and then added some fun toppings to make a festive holiday side dish – perfect for Thanksgiving! It’s one of the easiest winter squashes to prep. There’s no need to peel the skin and its soft rind makes it easy to cut through effortlessly. It tastes like sweet potatoes but has only 7g of carbs in a serving (3/4 cup) compared to about 40g in sweet potatoes. 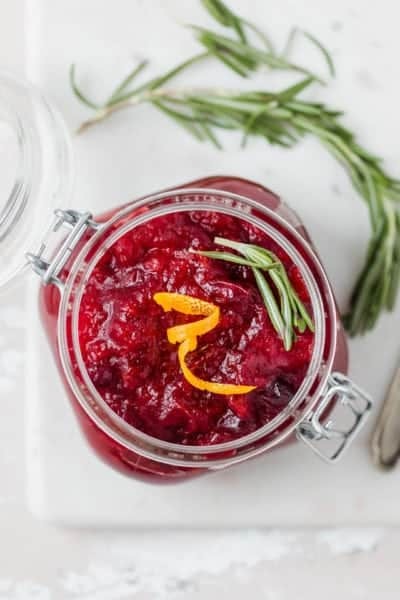 It has a sweet and nutty caramelized flavor with roasted, which makes it a warm festive dish for the holidays. 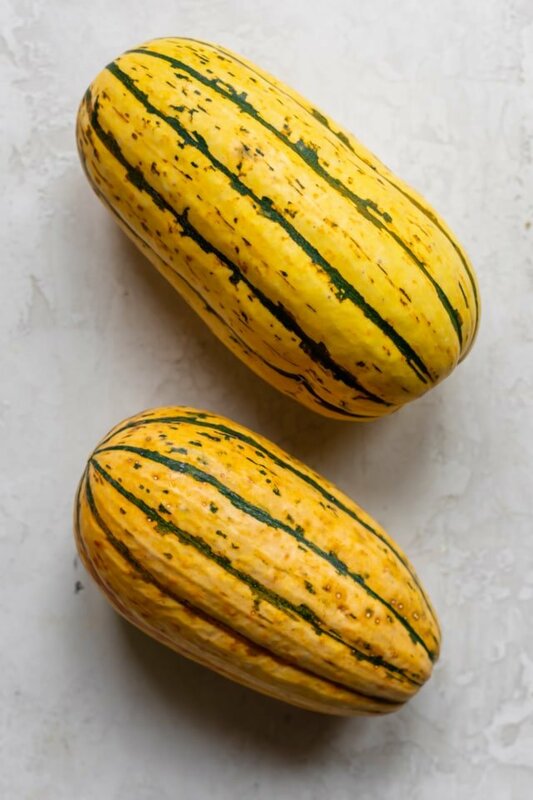 Delicata squash is a type of winter squash that has a yellowish cream-color with green stripes. It has a cylindrical shape. As you can imagine from the name delicata, it has a delicate skin. That means the skin is super easy to cut through, peel and even eat (which I totally recommend!). Delicata squash is most commonly roasted, but you can also microwave it, steam it or even sautée it. The first step is to cut the squash in half lengthwise. If you’ve ever cut a raw butternut squash or raw spaghetti squash, you will be pleasantly surprised at how easy it is to cut open a delicata squash. Thanks to that delicate rind. Like the other squashes, you’ll find large white seeds inside. These are edible, and if you have the time, they are wonderful roasted. 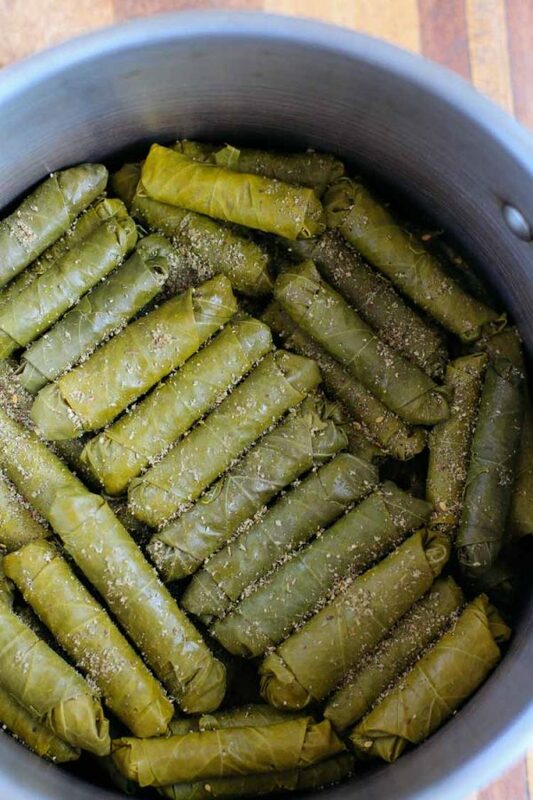 You will need to rinse, drain and pat them dry, then roast them under the broiler for 5-10 minutes. If you don’t have the time to roast the seeds, don’t feel bad. I generally just toss them out when I scoop out the insides of the delicata squash. 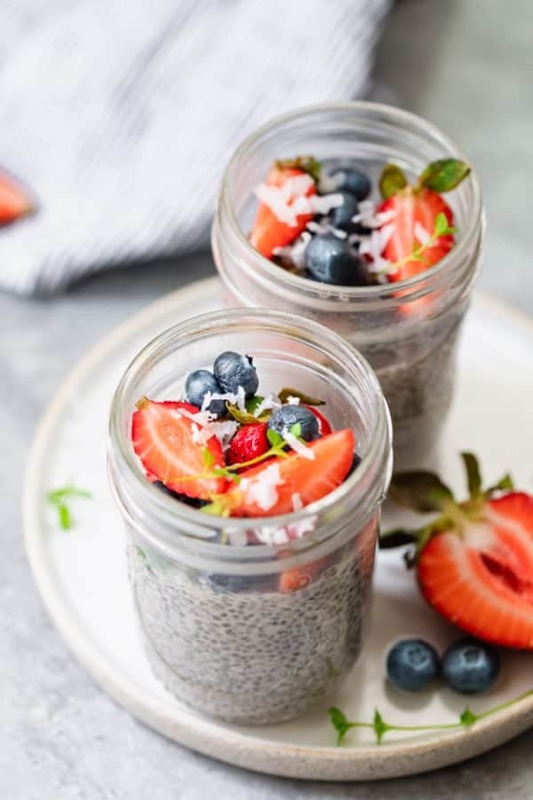 It’s fairly easy to scoop with just a simple spoon. Some people recommend a grapefruit spoon for scooping the seeds, but I don’t find it necessary. They come out very easily. Next I use a large sharp knife and slice the delicata squash into 1/4 inch thick slices. If you prefer to cut them in chunks, that’s fine too. But this squash is often prepared cut into semi or full circles like this. Make sure to slice them all an even thickness to ensure they all finish cooking at the same time. Keep in mind if you do slice them thinner, your cooking time will be shorter. Like roasting other squashes, you can season this to taste. I like to keep it simple with salt, pepper and ground cinnamon. Then I toss it all with olive oil. Some recipes also add in some maple syrup here. The touch of sweetness from the maple syrup helps it get more caramelized while roasting in the oven, making it more nutty and sweet. For this side dish though, I decided to leave out the maple syrup. If you do decide to use maple syrup, make sure to line a baking sheet with parchment paper to avoid a sticky mess. I still like using parchment paper regardless because it prevents the delicata squash from sticking to the baking dish. And hello easy clean-up! Then it’s roasting time. Once it’s done roasting, you can eat the squash on its own. And let me just tell you, you will be totally eating it on its own straight from the pan. For the actual side dish recipe though, I like dressing it up with pomegranate seeds, roasted almonds (walnuts or pecans work really well too), some fresh mint leaves and a drizzle of yogurt to finish off the dish. 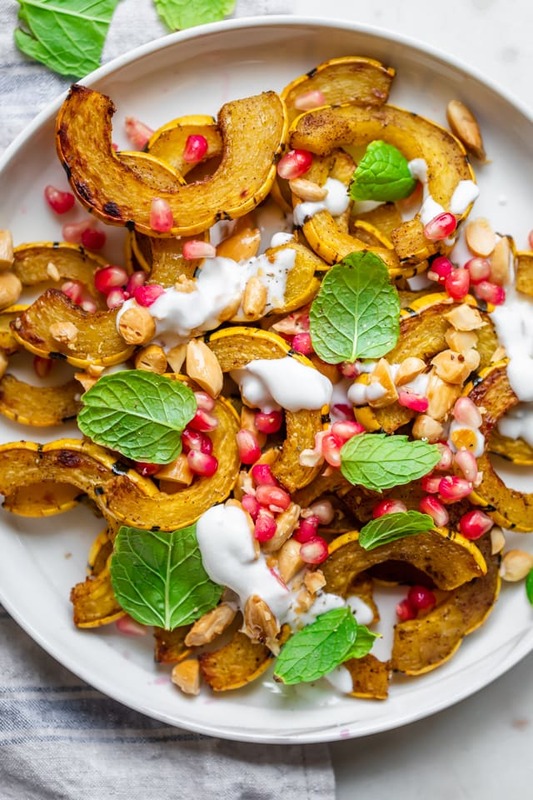 The caramelized flavor of the roasted delicata squash contrasts so nicely with the fresh and bright flavors of the pomegranate and mint leaves. When something has been roasting in the oven for a while, the best way to revive it is with fresh herbs. And mint definishly delivers that freshness. 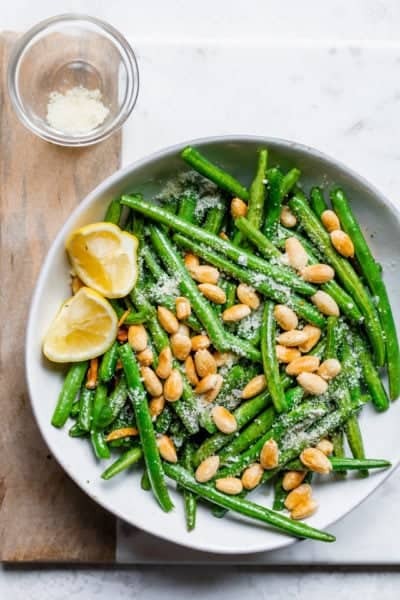 It’s also unexpected during the fall season, when we typically use a lot of thyme, sage and rosemary for these side dishes. 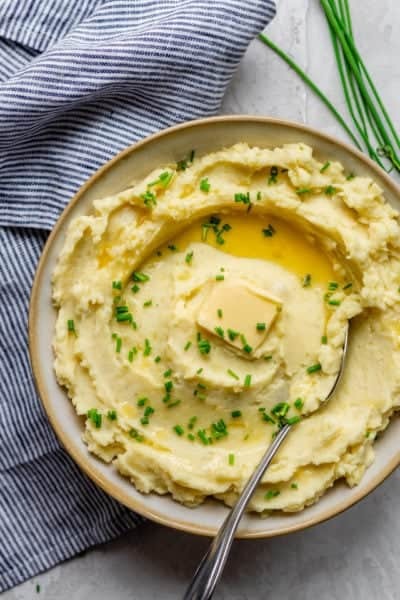 This is one of those side dishes I will definitely be making for Thanksgiving this year. 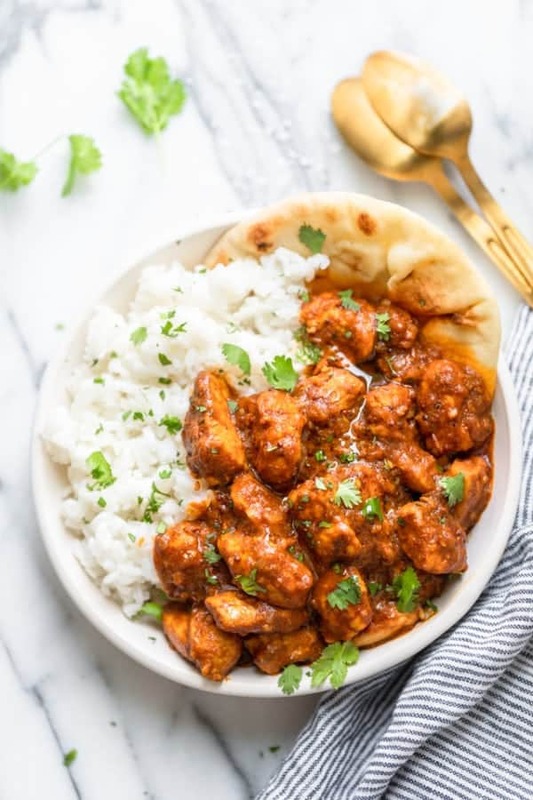 It’s unexpected, easy and comes together so beautifully. 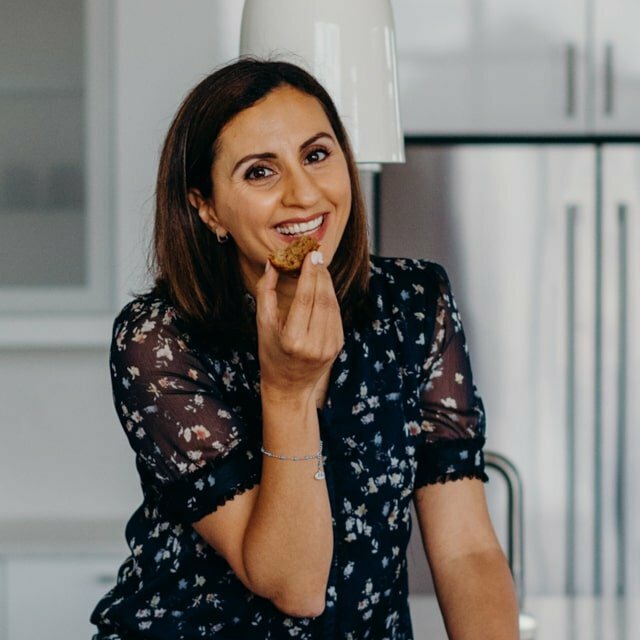 If you make this healthy-ish feelgood Roasted Delicata Squash recipe, please be sure to leave a comment and/or give this recipe a rating! I would love to hear about your experience making it. And if you snapped some shots of it, share it with me on Instagram so I can repost on my stories! Preheat the oven to 425°F degrees. Place the squash in a large bowl. Drizzle with olive oil, and season with cinnamon, salt and pepper; toss to coat. 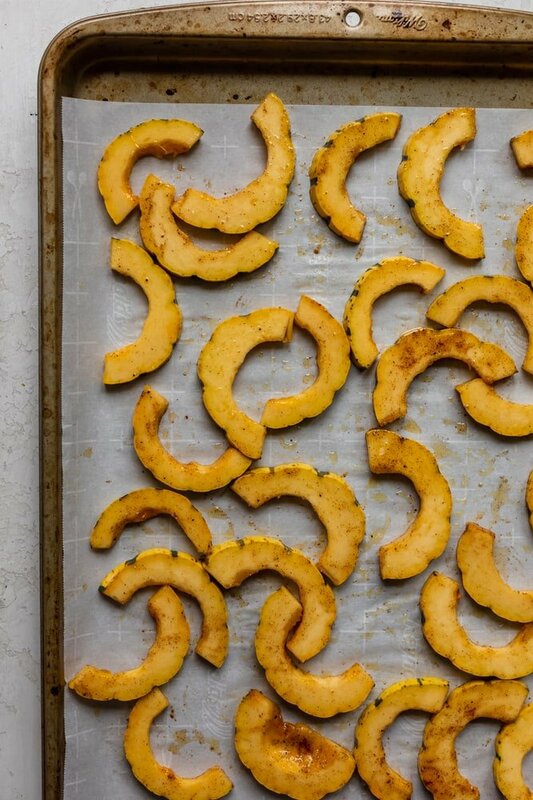 Spread the Delicata squash evenly onto two rimmed baking sheets. Bake the squash until tender and browned, 25 to 30 minutes, flipping halfway through. Remove from the pan, taste and season again with more salt and pepper, if desired. 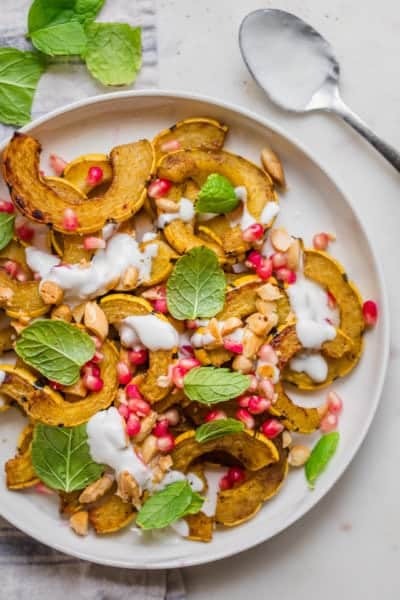 Arrange on a serving dish with pomegranate, toasted almonds, mint leaves and greek yogurt, if desired. Make Ahead Tips: You can cut the delicata squash, remove the seeds and slice them up to 3 days in advance. When ready to cook, just toss the slices in olive oil, salt and pepper (and cinnamon, if desired) and roast in the oven. 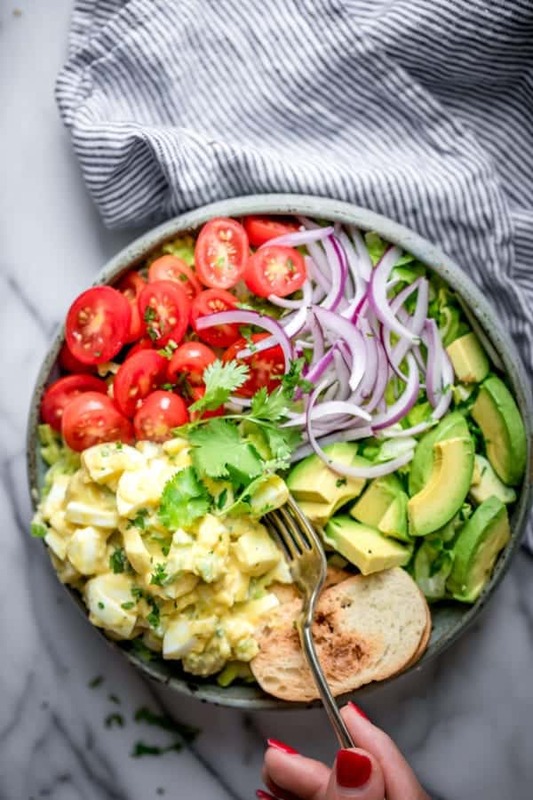 Substitutes: For best results, follow the recipe as is. However, if you prefer to skip the cinnamon, that's no problem. You can also add anything to finish off the roasted delicata squash, or simply enjoy roasted alone. How do you use Delicata squash?